Alright, well, if you figure that out, let me know. I don’t have a clue what Zweigelt rhymes with. I could take a few stabs at it, but how about I’ll just take a few more sips instead? A crossing of Blaufrankisch and St. Laurent, Zweigelt is “the most widely planted black variety [in Austria] […] which gives very deep-coloured reds with soft tannins and bramble fruit” (Wines and Spirits: Understanding Style and Quality pp.128). 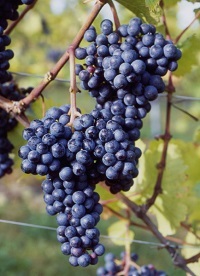 This grape is named after the person who pioneered it – Dr. Zweigelt. Aside from originating in Austria, this lovely country that is called Canada is one of the few places on this globe that plants Zweigelt in any large capacity. As I have said in previous blog entries, I like how Canada (particularly British Columbia) plants “unpopular” varietals. Where else in the world can you find significant plantings of Marechal Foch or Ehrenfelser? Win. 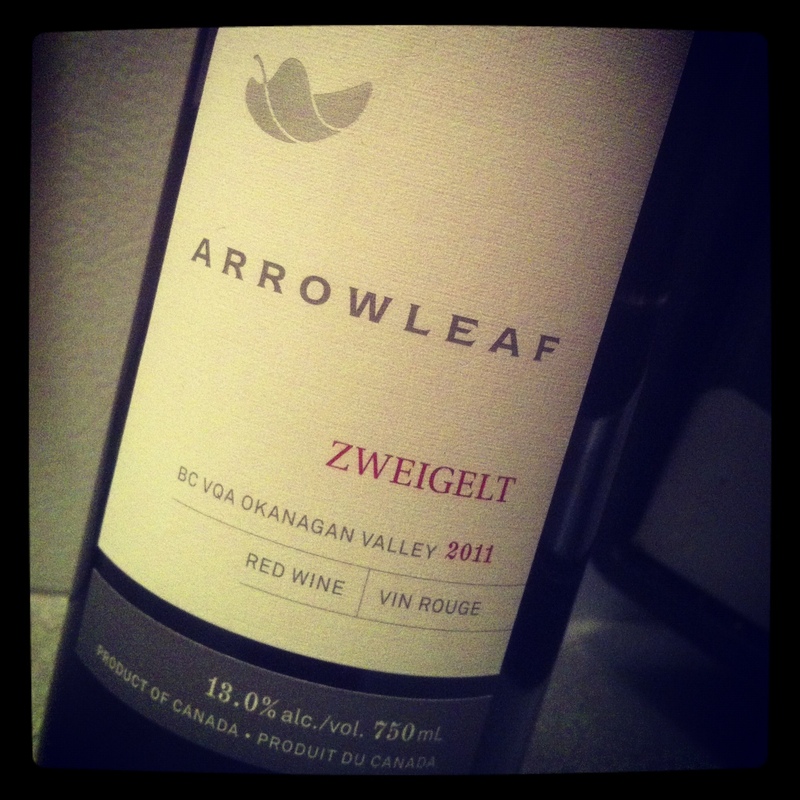 Recently, I was able to buy a bottle of Arrowleaf Cellars Zweigelt (2011 vintage) at the wine shop. Actually, to be honest, I was working the day it arrived in store, and I had to purchase it that night. How could I resist? How many Zweigelt’s do you see in your local wine shops? Yeah, I thought so. Obviously, there are some producers who are taking the time to cultivate this not-so-sought-after vitis vinifera varietal. Arrowleaf Cellars from Lake Country (just north of Kelowna) is one of them. Originally, I tasted their Zweigelt in 2012 while on a wine tour of the beautiful city that is Kelowna. It was the first time I ever tried it, and I clearly never forgot it. Wine made from this grape is seriously approachable. Who needs overly jammy Zinfandel, when you can have supple, intense red and black fruit flavours from a variety you have never even heard of before? Point, right? Don’t get me wrong! I do enjoy jammy Zin, and in all honesty, there are similar characteristics between the two. However, Zweigelt is, in my humble opinion, more classy. There is a poetic softness about it, and it sings peppery notes, boasts of bright berries, and allows you to stop and smell the…violets? At any rate, if you have never tried Zweigelt, now is your chance. It’s out there, and you know it’s out there. There’s simply no excuse now. Arrowleaf Cellars’ Zweigelt goes for about $20.00. I know other producers like Kalala and Mt. Boucherie are also making wine from this grape that, well, doesn’t rhyme with anything. Oh, right. It’s unique. Yay, Zweigelt! Love Arrowleaf’s Zwei even though I’ve proclaimed my allegiance to Kalala’s frequently in the past. It’s Pinot Noir with an attitude. And this magnum wrapped in felt. You’re right, winecountrybc — Zweigelt is Pinot Noir with an attitude. Can I use that when I talk to people? mkphotomedia — Wow! I’m guessing it didn’t take you that long to make up that poem! Nicely done. Now, next time I see you, you’ll have to read it to me.